Home Brands and Products Peripera Jewel Pot Be Edge. 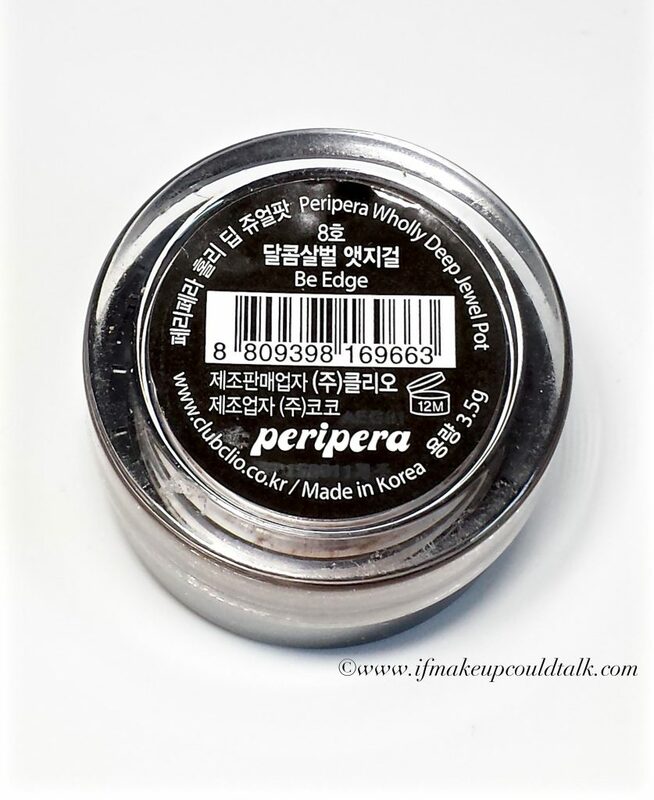 Peripera Jewel Pot Be Edge review and photos. Beautiful antique bronze cream pigment made up of an abundance of bronze, silver (Diamond Powder) and slight lavender sparkles (Amethyst Powder)–GORGEOUS!! Incredibly smooth to the touch despite the amount of bling. Soft sponge-like texture reminds me of Giorgio Armani Eyes of Kill Intense Eyeshadows–down to the black inner stopper. Black inner stopper, which should not be discarded, keeps the creamy pressed pigment uniform and supple. Multiple layers can be applied without patchiness. Layers amazing well over a cream eyeshadow–my preferred method to wear this color (see reason below). Color does not crease or fade throughout the day. Acrylic jar is appealing for travel–personally, I would have preferred glass. Does not contain mineral oil or parabens–according to Amazon ingredient list. Eight colors in all–Amazon carries six out of the eight. Made in Korea–good or bad, you decide. There is sparkle fallout throughout the day, even over a primer–not a tremendous amount, but enough to be slightly irritating. On my deep-set eyes, sparkles also migrate up toward my socket bone area. Not recommended for hooded and/or mature lids. Color does not adhere to brushes–fingers are a must. Small pot opening presents a bit of a hinderance for my larger fingers. Does not come housed in a box, just a thin strip of plastic acts as a sealant on one side of the pot. Product is lacking in description, directions and ingredient list. Amazon lists the name as Sweet and Edgy Girl–not Be Edge as the base of the pot indicates. Need I say–not office appropriate. 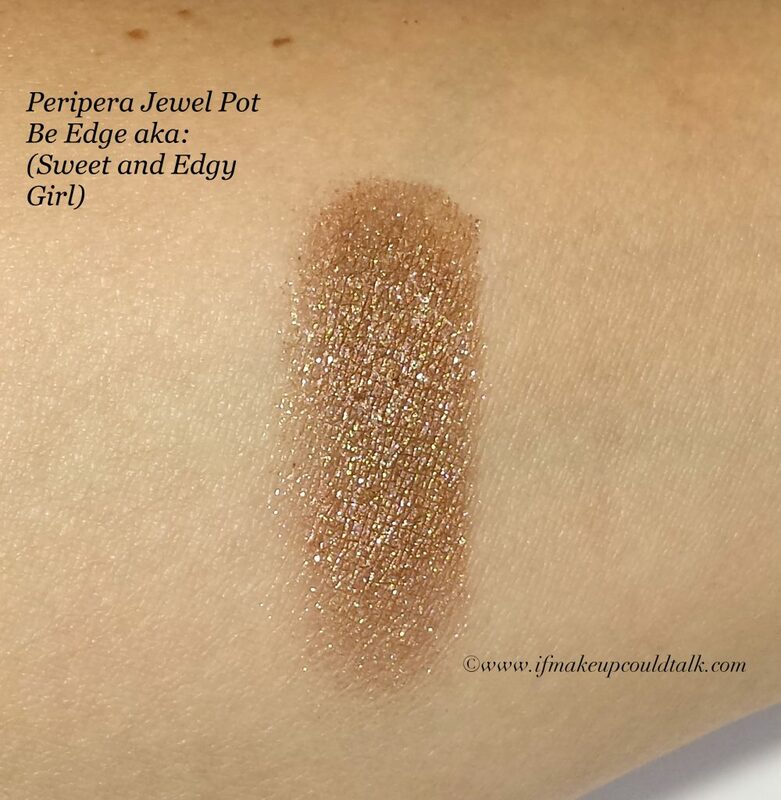 Peripera Jewel Pot Be Edge swatch. Peripera Jewel Pot Be Edge all over the mobile lid. 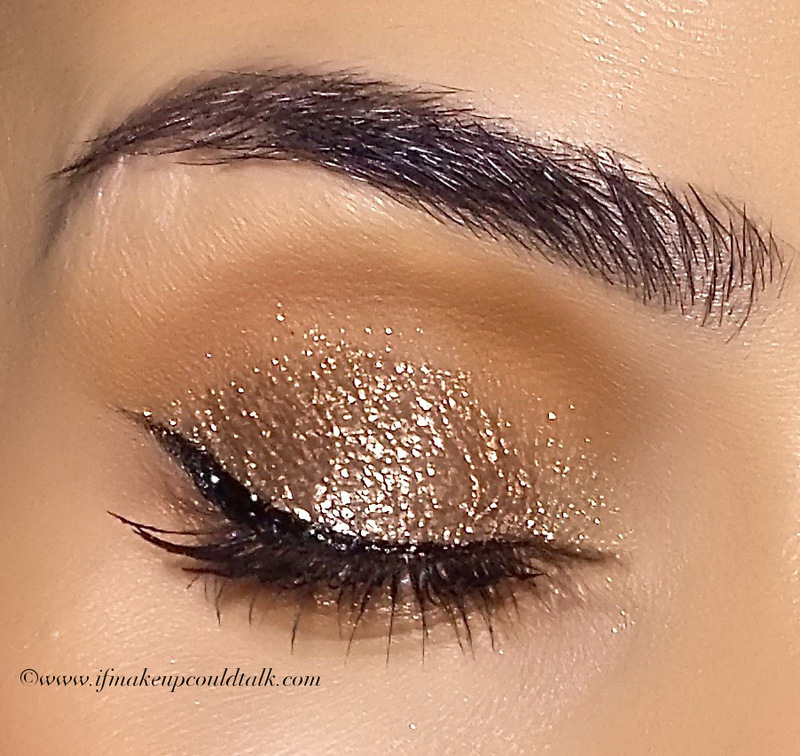 As you can tell, this color is truly stunning–when I first applied Be Edge on my lids, I actually gasped. The highly reflective finish (the reason my camera was having difficulty focusing) is surprisingly refined despite the amount of sparkle. I will say the application is relatively straight forward–just swirl your finger in the color and pat the color on the lid. Even though the sparkles feel extremely lightweight, this airy quality is most likely responsible for migration throughout the day. By day’s end, a modest amount of sparkles shifted toward my socket bone, on my lashes and eventually, down my face. I don’t know about anyone else, but even a few sparkles on my face is enough to irritate me to no end. My annoyance was at a point where I had to use tape to pick-off the rogue sparkles. 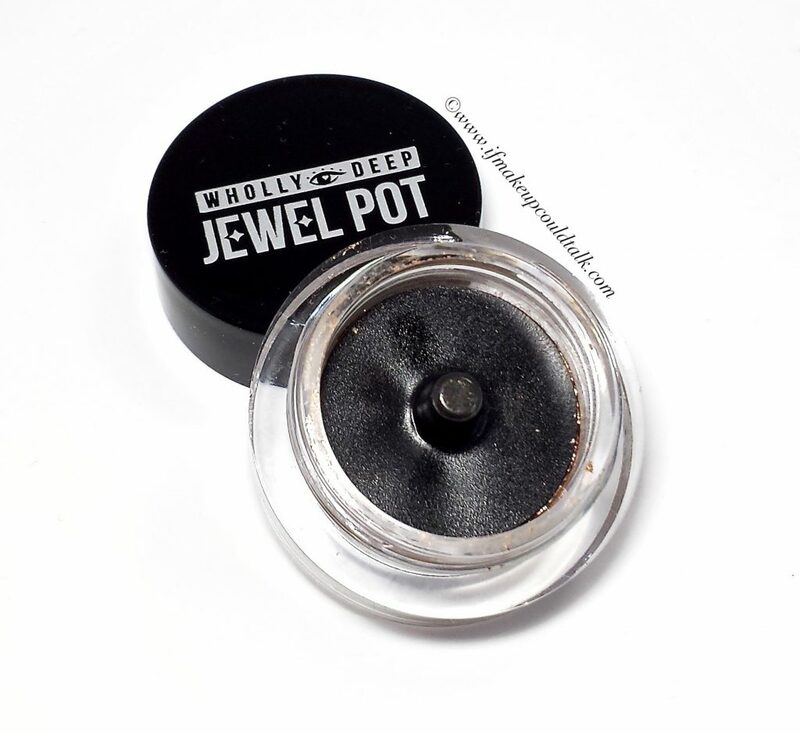 Peripera Jewel Pot Be Edge over Anastasia Beverly Hills Beauty Genius. Due to my adoration for this color, I was rather determined to find a way to make this work for my needs. Anastasia Beverly Hill Beauty Genius does a nice job in handling the majority of fallout. However, as you can tell, Be Edge looses some of its pizzazz when applied over the glitter adhesive base. Although the outcome is lovely in its own right, I can’t help be feel a little sadden that the effect was not the same as my initial impression. 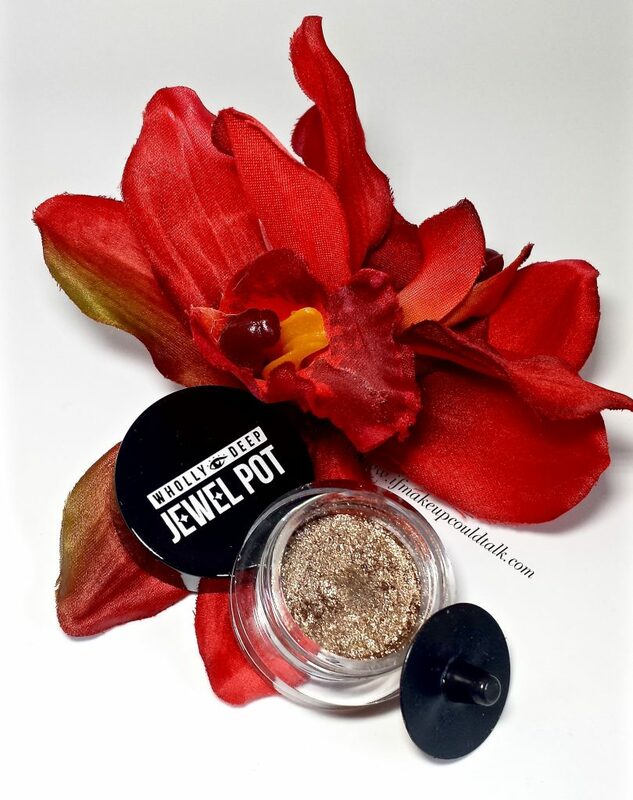 Peripera Jewel Pot Be Edge topped with Laura Mercier Wet Sand. 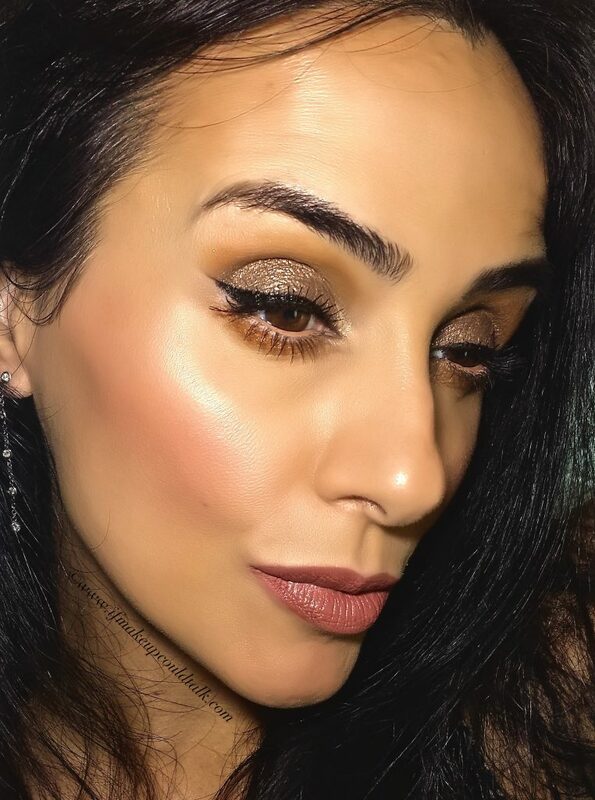 For the above look, Be Edge was applied on bare lids with only my primer and immediately topped with Laura Mercier Wet Sand (reviewed here). 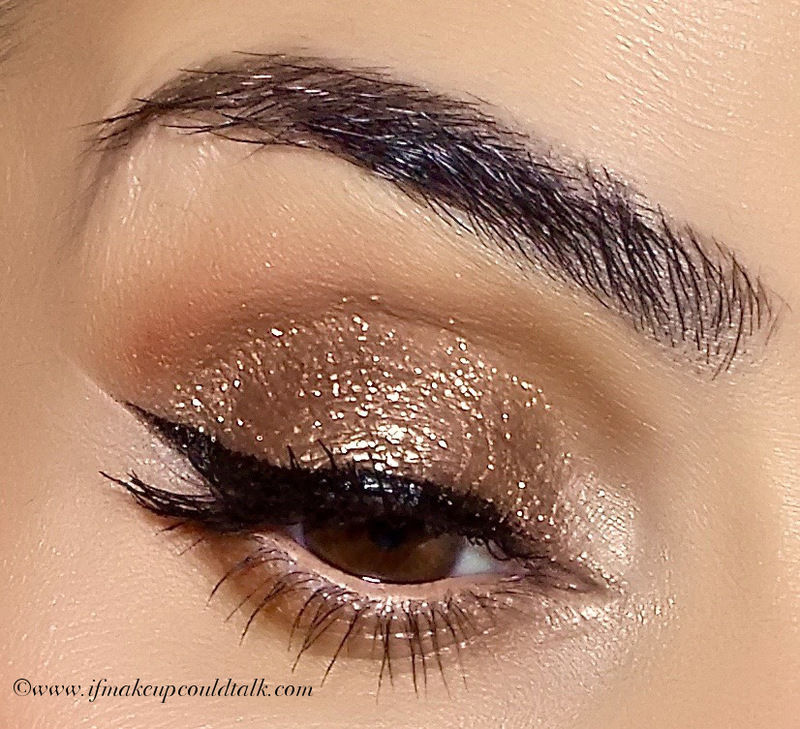 LM Wet Sand’s strong gel base was able to control the sparkle fallout significantly, but as you can tell the color did shift from an antique bronze to more of a golden hue. (sorry for the slight blurred image–my camera really did not like the gleam given off by the shadow). 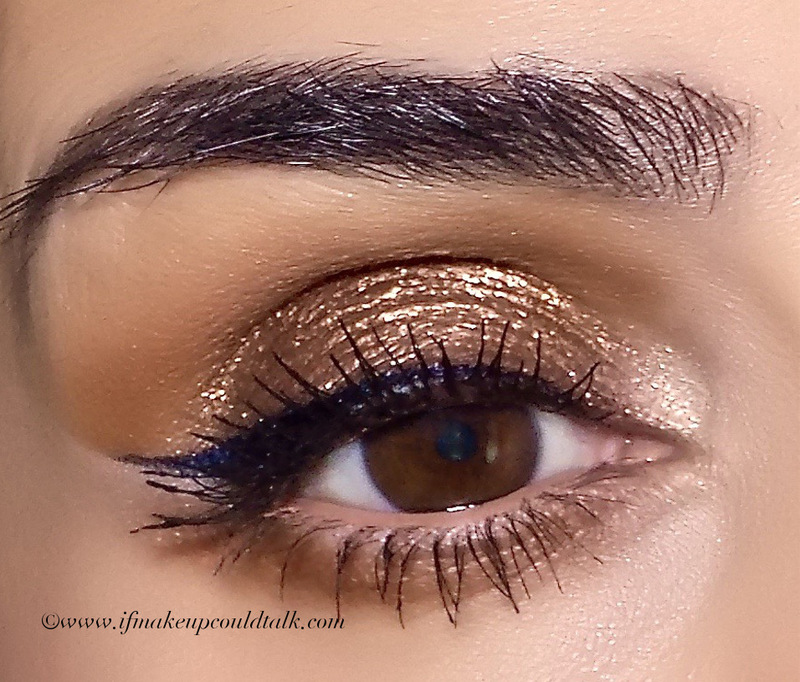 Peripera Jewel Pot Be Edge over Burberry Almond Eyeshadow Stick. In another attempt to make this formula seem more appealing, I decided to place Be Edge over Burberry Almond Eye Contour Sculpting Pen (another fabulous find–which I must review soon). The creamy texture provided just the right amount of stickiness to prevent the sparkles from migrating throughout the day. When utilizing this method, note that the cream base really soaks up the pigment’s rich texture, therefore, more layers will be required to see ample results. For the above photo, three layers of Be Edge were used over Burberry Almond–the outcome was a total success with no sparkle fallout. This combo was so beautiful and festive, it begged to be taken out about town. I only wish my lighting and camera were better equipped to capture the full effect. Makeup would tell you Peripera Jewel Pot Be Edge is not a complete must-have, rather more of a nice addition should the mood strike. 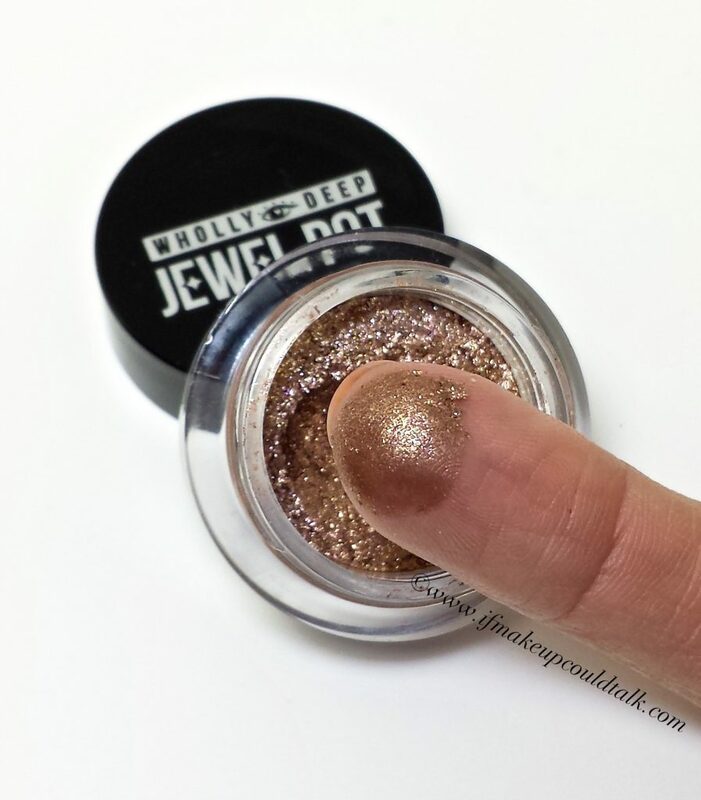 This is an outstanding looking cream pressed pigment, at fairly reasonable price, but as proven it does take some creative solutions for it to work for my needs–just make sure to utilize a dependable cream shadow to adhere those beautiful, gleaming, relentless sparkles. 🙂 Until next time, be well, stay safe and be happy.